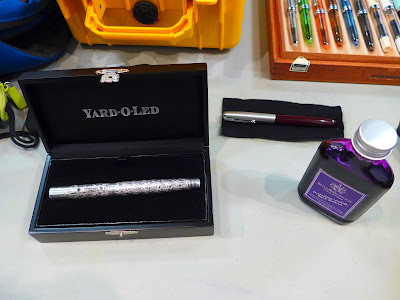 Lenal also brought in a hot pink Caran d'Ache '849' fountain pen that she recently acquired, as well as a petite Monteverdo 'Poquito' (neither pictured). 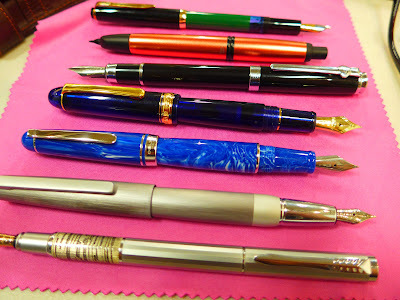 A couple of quick shots of the fountain pens Jerred brought in---(top to bottom): Reform 1745, Delta 'Virtuoso', Pilot-Namiki 'Vanishing Point', a Fuliwen fountain pen, Wancher 'Forward' fountain pen (which shares some external design stylings with the famous Lamy '2000') and last but not least, the timeless Montblanc '149'. 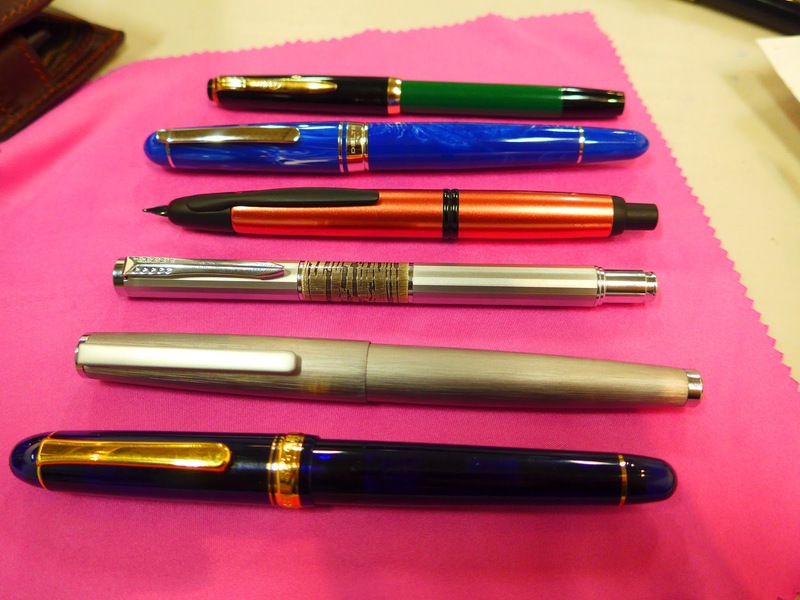 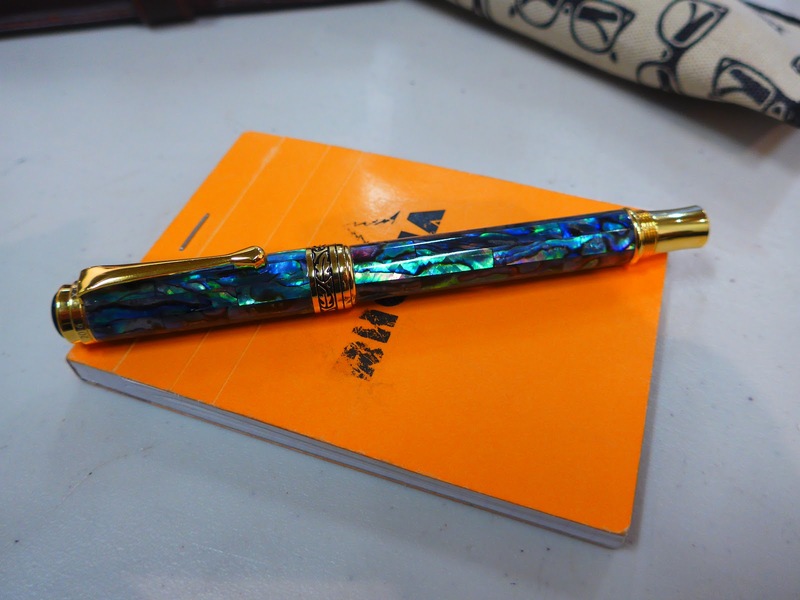 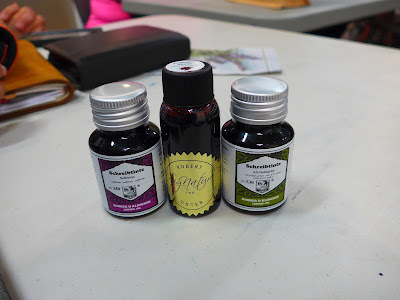 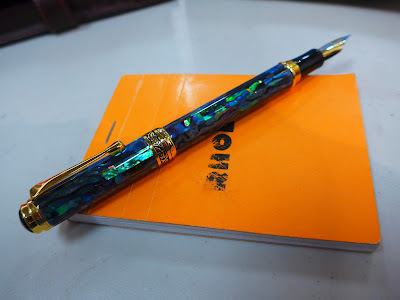 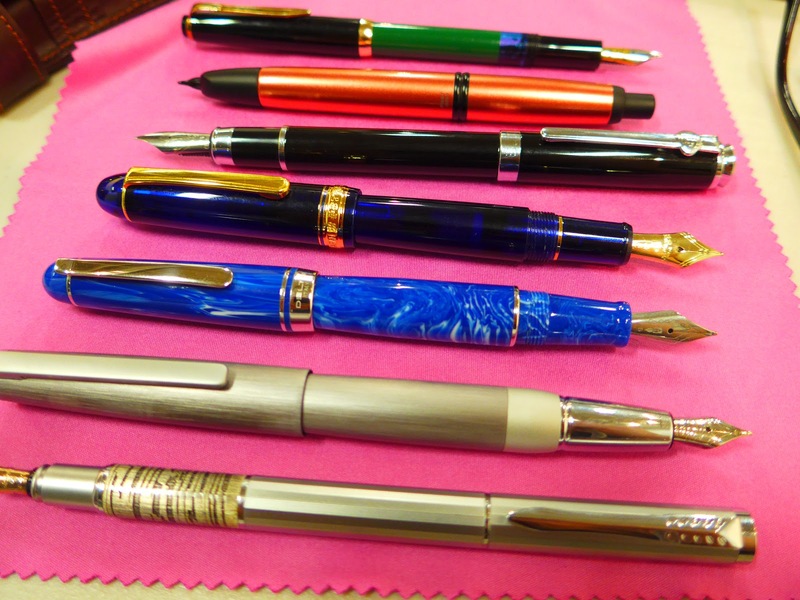 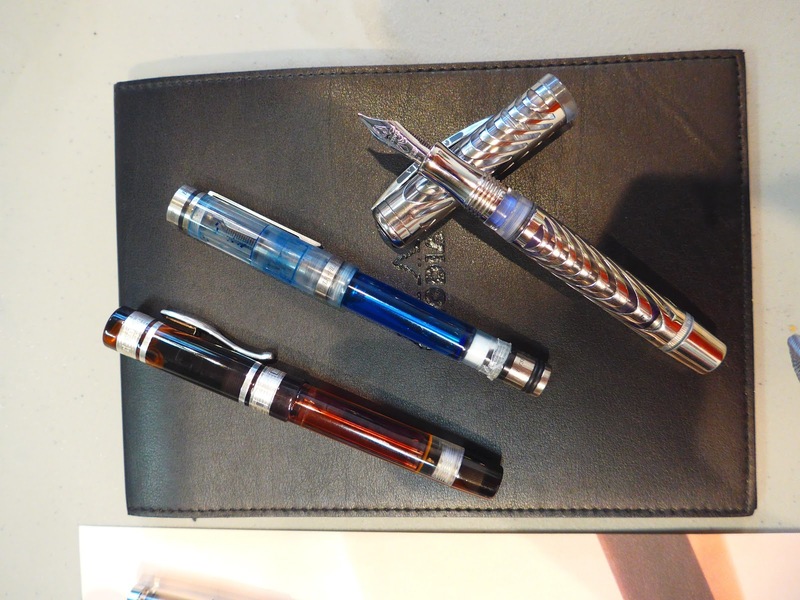 Jerred also brought in some Lanbitou '3059' fountain pens (not pictured), two of which he donated for our door prize draws. 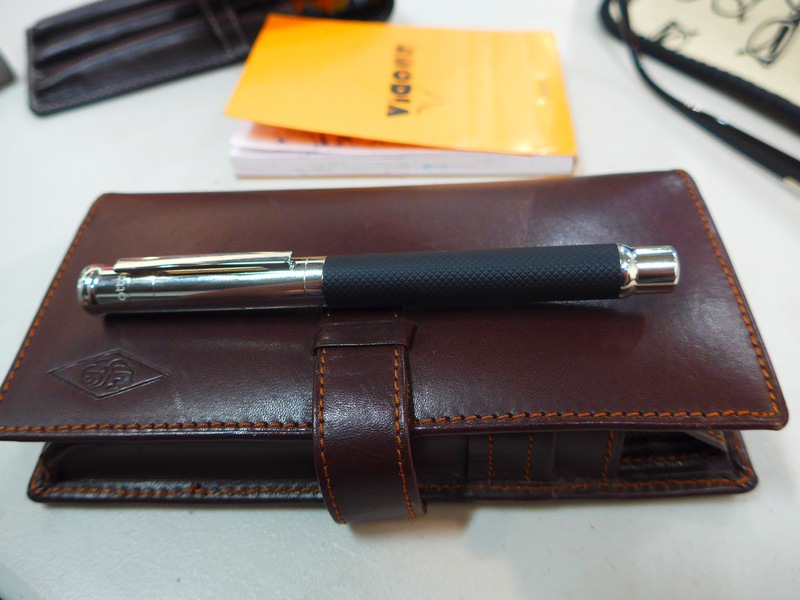 Thanks again, Jerred!